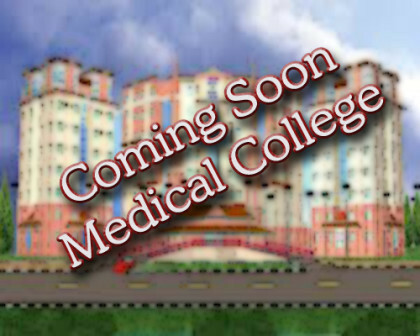 HP: Subject to the MCI permission, there is expected to be a launch of two new medical colleges in the state. These medical colleges will be opened in Nahan and Chamba this year after the mandatory permission has been granted by the MCI. The announcement was made by the health minister Kaul Singh Thakur in the assembly recently. Further reports suggest that the state government has already approached the MCI seeking permission to start the first batch from August this year. The health minister in addition implied that a total fund of Rs 396 crore has been sanctioned by the Union government, with Rs 198 crore allotted for each college. The state government has already received Rs 21.53 crore to start work. The process for appointment of staff is expected to begin soon. Also, the serving assistant professors of IGMC and Tanda are being given option to join the new colleges as faculty. There is an added incentive of retiring at 65 years given to these professors if they decide to join the new colleges. The existing retirement age is 62. As reported by TOI, Nahan Medical College will be named after first chief minister of Himachal Pradesh, Dr Yashwant Singh Parmar while the medical college in Chamba will be named after first Prime Minister, Pandit Jawahar Lal Nehru. The Centre, he said, had issued guidelines to develop district level hospitals after expanding them to 10 km from their respective headquarters. “The state government had already allotted a tender to the health service construction company (HSCC) to build a 300-bed hospital in Nahan,” he said.